, Do you plan to attend CD Baby's DIY Musician Conference in Chicago this month? If so, I'll be there. It would be great to meet you. On Sat, Oct 24, I'll be in the Gold Room from 1:00 to 3:00 PM doing mentor sessions. Sign up for one of the 15-minute slots. If you looked into this awesome event before, you'll be pleased to see a new two-tier registration option that will make it easier for many to attend. This one takes place on Saturday, November 14, in St. Louis, MO. It will be an awesome all-day event filled with interactivity and collaboration with proactive creative people of all types. 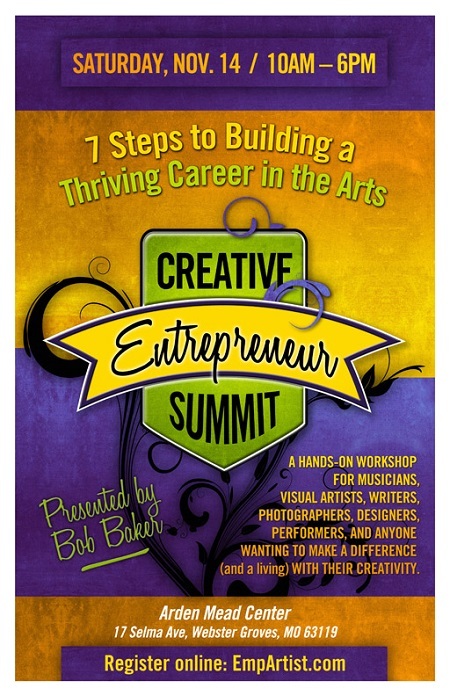 Secure your seats while the rate is low and get ready to energize your creative career! Take One or More of My Online Courses at a Deep Discount! While you're at it, you can also register for ALL of my other Udemy courses for only $15 USD each - that's a discount of 69% to 84%. Just use code BOB15 for any of these. Here are the titles and links:? Now get out there and share your music with the world! 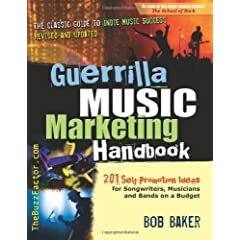 Bob Baker is an author, speaker, musician, and former music magazine editor dedicated to showing musicians of all kinds how to get exposure, connect with fans, sell more music, and increase their incomes through their artistic passions. Bob also created the Music Marketing 101 course, which ran for five years at Berklee Online, the continuing education division of Berklee College of Music in Boston. He has appeared in the media on NPR’s “Morning Edition” and “Marketplace” and in such publications as Electronic Musician, Music Connection, The Guardian in the U.K., Canadian Musician, Publishers Weekly, VIBE magazine, E! Online, and even The Onion! You are receiving this email because you signed up for it or purchased something from me at TheBuzzFactor.com or at a live event. You can update your name and email using the link at the end of this email. If you no longer want to receive my tips, resources and inspiration on music marketing and artist empowerment, you can unsubscribe easily by clicking the Cancel link below. No hard feelings. Warning: Please note that if you do unsubscribe from my emails, I will be unable to contact you regarding any updates, products or programs of mine you may have purchased.